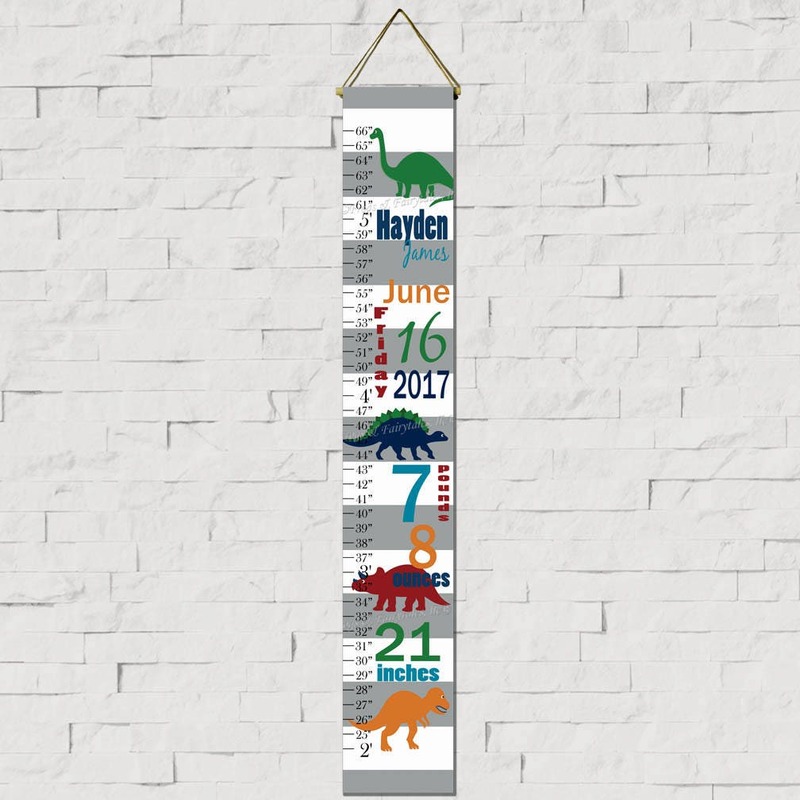 This dinosaur themed canvas print growth chart would be the perfect addition to any child's room who loves dinosaurs! It features a grey and white horizontal striped background with a brontosaurus, stegosaurus, triceratops, and a T-Rex. Your child's birth information is in navy, teal, orange, red, and green to coordinate with the dinosaurs. Please leave all of the baby's birth information(first name, middle name, month, day of the week, month day, year, number of pounds and ounces, and length) in the note to seller section. 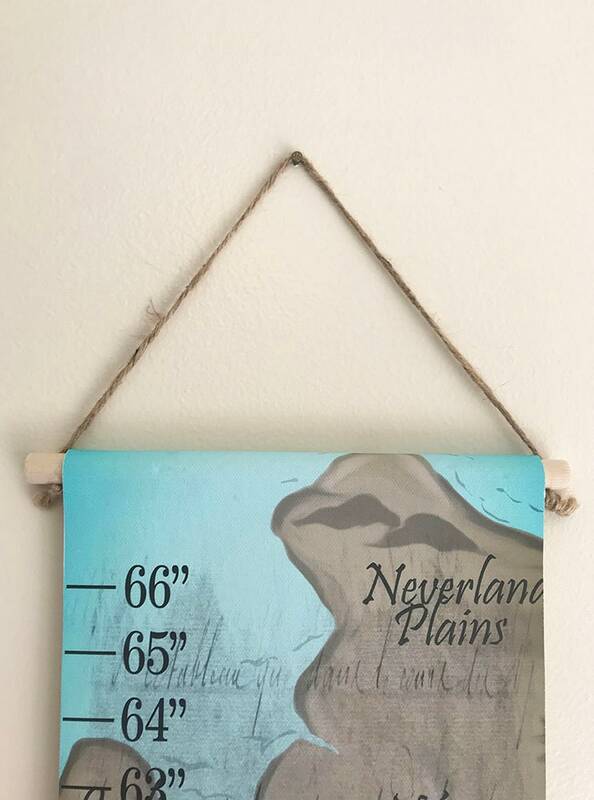 You can choose to have this design printed in the color scheme shown in the listing example, or choose custom colors if you'd like something other than what is pictured. Please use the note to seller section to leave your color requests. We will message you with a proof to approve before printing. Our growth charts have a dowel on the top and bottom. The dowel rod at the top has twine attached for hanging. Watermarks will not appear on your actual growth chart. This chart measures you little one's height from 2 ft. to 5 1/2 ft. Simply hang 2 ft. from the floor, matching it up with the 2ft. line on the growth chart. Use a permanent marker to mark your child's height and the date you measured them. Canvas growth charts make a great keepsake! They are printed on matte finish canvas using the giclee method with museum quality inks. They are sealed with a satin finish to keep the ink from smudging. They have dowel rods at the bottom and top to add weight. Twine is attached to the top dowel rod for hanging.